The organization wants agencies, corporations, and industry groups to make public statistics about the makeup of their workforces. NEW YORK: Sharon Fenster, president-elect of the New York chapter of the Public Relations Society of America, has called on all PR firms and trade associations, as well as corporations, to release information on the diversity of their workforces. The group’s demand for greater transparency is a response to Edelman CEO Richard Edelman’s call to action for an industry-wide set of ethics standards called the "PR Compact," as well as the PR industry’s persistent lack of diversity, Fenster said. "It was clear to us that any type of ethical stance has to include diversity data," she added. "Ethics includes transparency and accountability for diversity and inclusion data, too. Since we are moving forward on a diversity and inclusion platform in 2018, diversity data and a clear ethical stance is important to us." An Edelman representative did not provide comment. Fenster asked the industry at large to disclose its diversity data, including trade associations the PR Council, PRSA, Arthur W. Page Society, The Seminar, Wise Men, Ethisphere Institute, International Association of Business Communicators, and the Publicity Club of New York. She also called for diversity disclosures from the International Public Relations Association, the National Black Public Relations Society, the Hispanic Public Relations Society, ColorComm, New York Women in Communications, the American Marketing Association, and others. "A lot of companies, agencies, and various organizations are concerned there is some punitive test to the release of data diversity if it’s not quite right. We’re all learning, growing, and changing," Fenster explained. "To not take a look in the cold, hard daylight at what the diversity data says is to not move forward on a diversity and inclusion initiative. You’re not being true to yourself." PRSA New York launched a diversity and inclusion initiative last month, establishing workshops to eliminate unconscious bias and creating an advisory board and internal D&I committee. The trade body chapter is forming an advisory committee, inviting professionals from companies that have demonstrated success in diversity and inclusion, Fenster said. The group will meet in January to discuss diversity targets, as well as other agenda items. Several agency executives said they were interested in learning more about the PRSA’s proposal. FleishmanHillard chief of staff Lisa Moehlenkamp said the Omnicom Group agency supports all diversity and inclusion efforts in the industry and it is "interested in seeing the proposal." She added that Fleishman plans to expand its own D&I initiatives next year, including the Alfred Fleishman Diversity Fellowships and said the firm has won recognition from Human Rights Campaign and the National Association for Female Executives. "We’re continually pushing ourselves to do better and are taking action to achieve our goals," Moehlenkamp said, via email. A Ketchum spokesperson said the agency is looking forward to learning more about PRSA New York’s diversity initiative and is "supportive of programs that help create an industry that reflects the communities in which we operate and is representative of the customers our clients want to reach." Representatives from MSLGroup and Weber Shandwick, which round out the top five agencies in terms of revenue, did not respond to requests for comment. In the U.K., advertising industry body the IPA and PRWeek sister title Campaign launched an effort last year to uncover the ethnic and gender diversity of creative professionals in the country. The U.K.-based PRCA also released its own "census" data, showing a dearth of diversity. Ninety-one percent of respondents identified as "white British" or "other white," while only 3% identified as "Asian" and 2% as black. 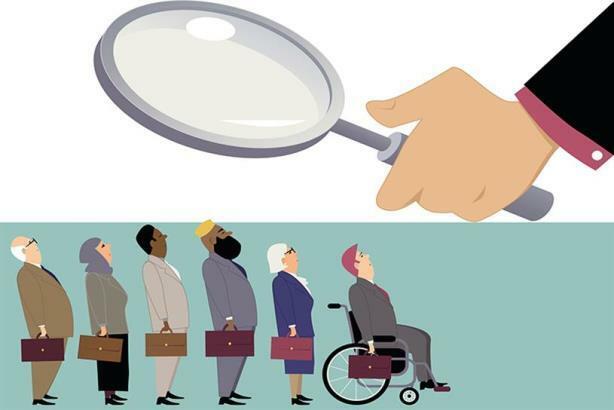 Your call: Should agencies and industry groups publish their diversity data?